After you've added files to the media library of your project, you need to move them to the timeline to start editing them. This is the space where you edit together video, image or audio clips to create your final video, and where you can add titles and effects. 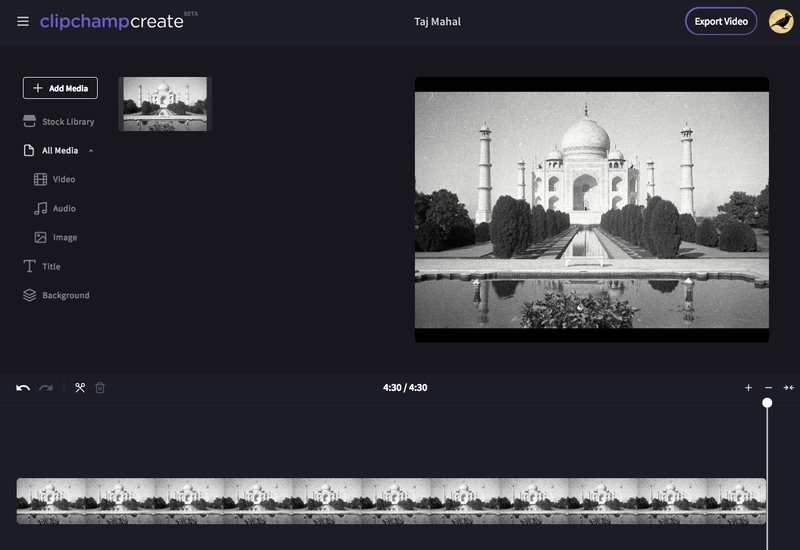 What you add to the timeline is what will be exported when you click Export and save your finished video. If you add several clips to the timeline, they may disappear off the right edge of the screen. In this case, you might want to zoom out to see all your clips at once and add more clips. Alternatively, you might want to zoom in to more easily edit a specific clip. Use the plus (+) button to zoom in, and the (–) button to zoom out. Or use the fit to screen button (–><–) to fit everything that's in the timeline to the visible area. You can also use the scroller at the bottom of the screen to scroll to the left or right to view different parts of the timeline. 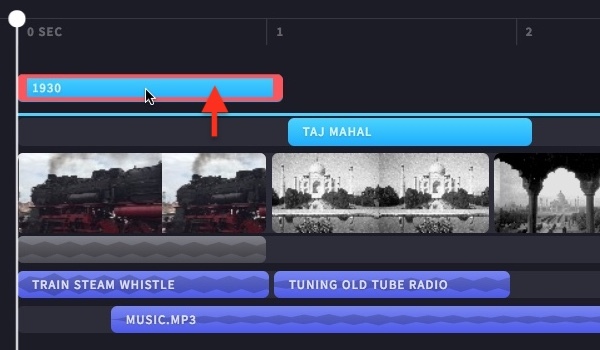 To view the videos, images or music you are putting together in the timeline, move the scrubber (the white line with the circle at the top) to the start of the timeline, or to wherever you want the video to start playing from. Then click the play button that appears at the base of the preview window when you hover over it, or hit the space bar on your keyboard. The video will start playing. The timeline can contain multiple tracks. 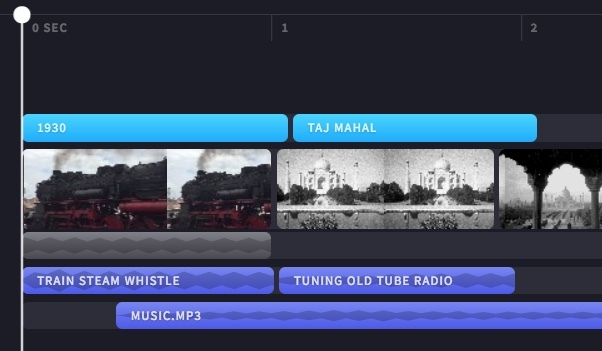 For example, video clips will appear in a separate track to audio clips in the timeline. Titles will also appear in their own track. This is so you can layer things like music and titles over your videos. You can have multiple video, title or audio tracks if you like. Simply drag a clip up or down to drop it into a new track or to add it to an existing one. If you have several visual tracks (tracks with videos and images in them), the upper track will always be the 'top' most visible one, and lower tracks will be covered (i.e. not visible when there is a clip above them). Their sound will still be heard unless they are muted. 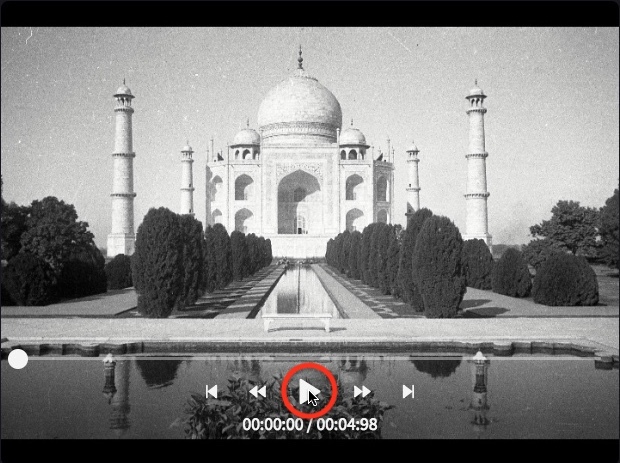 However, if the clip in the upper track does not fill the entire frame (e.g. it's a video or image that hasn't been cropped to fill) or is partially transparent (e.g. it's a title with a transparent background, a logo or png image, a semi-transparent 'background' or a video that fades) you will see the unobscured parts of the clips in the tracks below it. If you would like to know how to trim, split and add effects your clips once they're in the timeline, see how to edit your video. 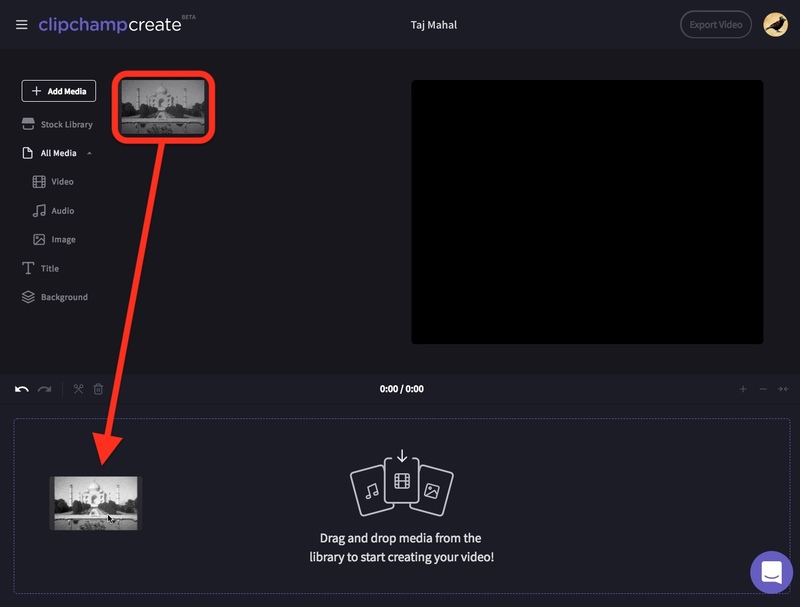 If you have problems adding your video to your project or your timeline, or playing back your video, see: what to do if your assets aren't loading.